The particular shape is attained using a special gadget known as gavvala peeta or gavvala chekka. It is a wooden board with ridges that comes in different sizes. In the absence of it, one can use the backside of a long fork or a grater or even a new comb. 1. 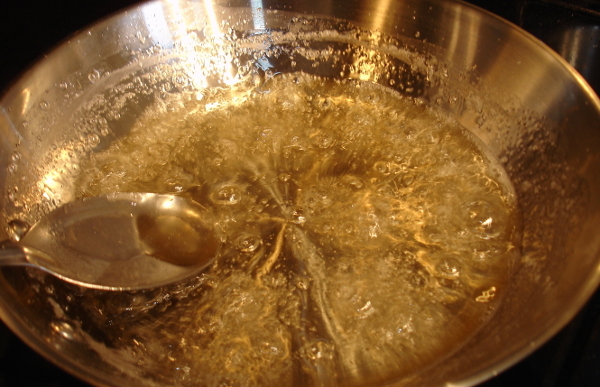 Combine flour, salt, and ghee in a mixing bowl. 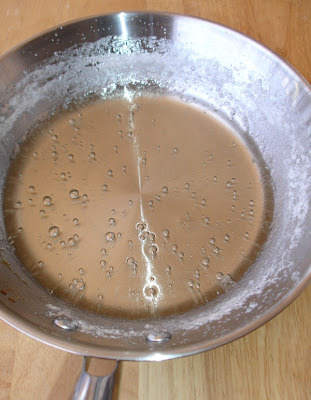 Add water to it little by little and form a firm dough. Let it rest for about 30 minutes or so. 2. Pinch out a small marble sized portion from the dough and roll between your palms into a ball. 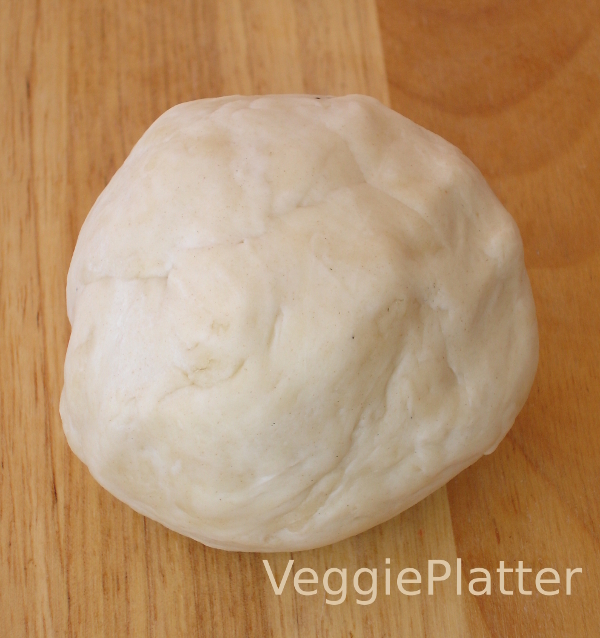 Place the ball on the ridges of the gavvala peeta and press the dough ball with your thumb. Slide it along the ridges (towards the right side for a right handed person) without removing your thumb from the dough. The ball would curve into a shell, half moon shaped one. Keep it aside. Repeat the steps with the remaining dough and shape into shells. Keep them covered. It is midnight for me now. I will try to upload a small clip tomorrow if possible, to show how a shell is made out of dough. 3. 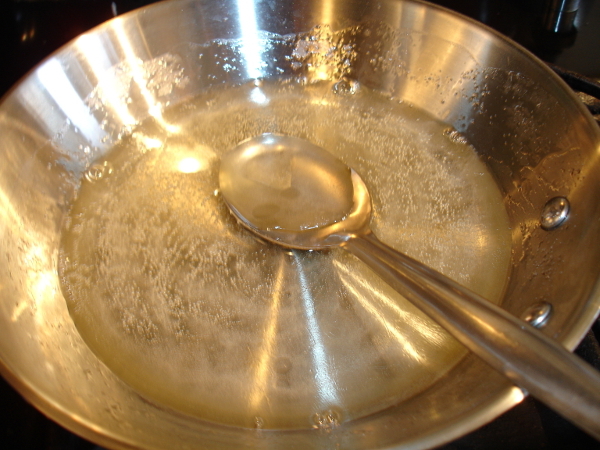 Heat about 2 cups of oil in a kadai / small wok. 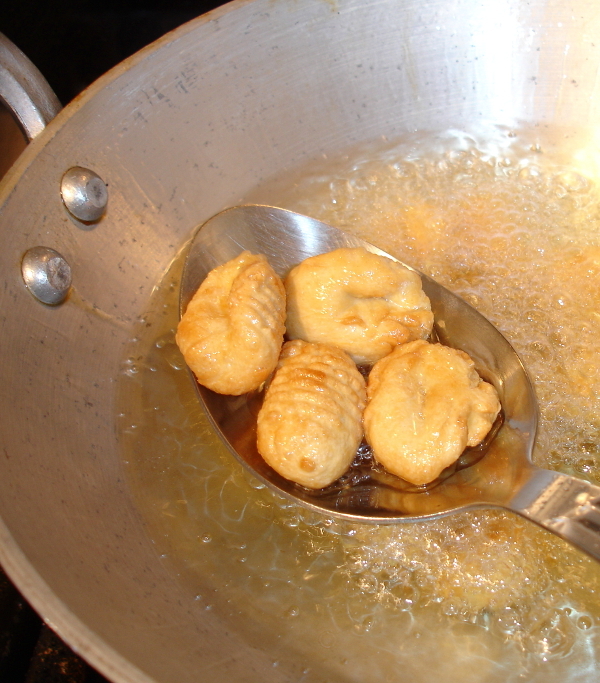 When the oil is hot enough to fry, gently drop the dough shells into it. 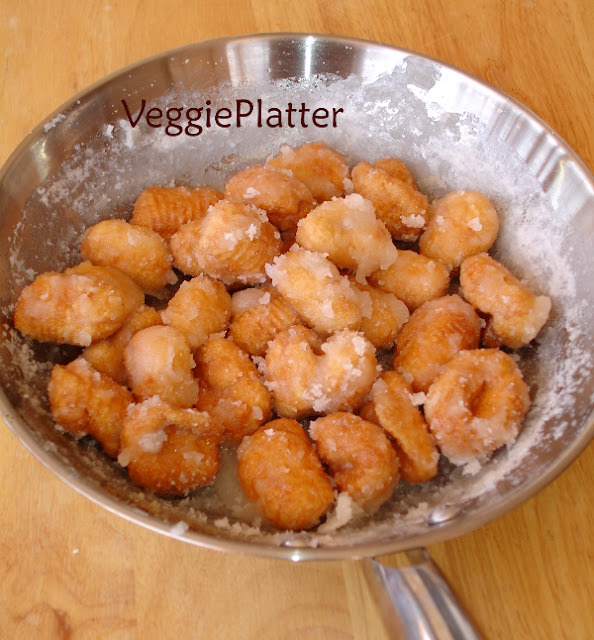 Keep flipping and fry them in batches on low flame, until golden brown. Drain on paper towels. 4. After one batch of shells are fried, heat sugar adding 2 - 3 Tbsp water in another pan. Cook the mixture until one string consistency is reached. Turn off the stove. 5. Add the fried shells to it and with a spoon turn them around so that they are coated well with syrup. Allow them to come to room temperature. 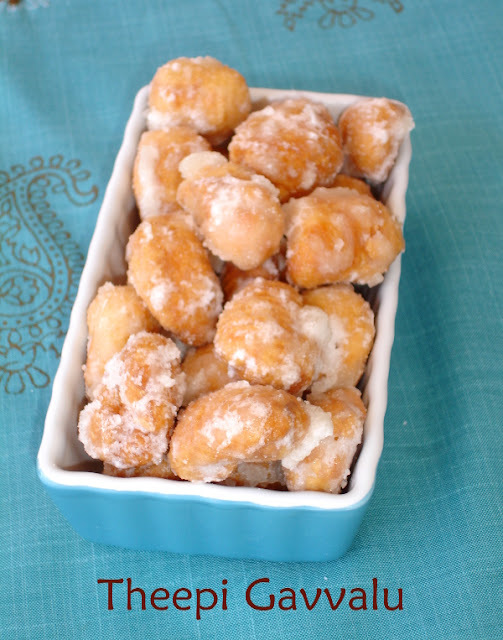 Once they are dry, they will have a nice coating of sugar. Check what other marathoners are cooking during this month long marathon. The picture is seriously irresistible,those sugar coated theepi gavvalu makes me drool..
oh that is so delicious... very helpful stepwise... i have this on my to do for a very long time..
ah I enjoyed making these Suma..the first time I made these, I was taken by surprise by the mechanism..it was so cute..:)..your picture surely is inviting..
Wow Suma this is new to me. I would love to see the video clipping. Please do post it as soon as u can. Gavvalu have come out well. Very tempting clicks.